We want your project to turn out even better than you expected. Our attention to detail and craftsmanship are above industry standards. 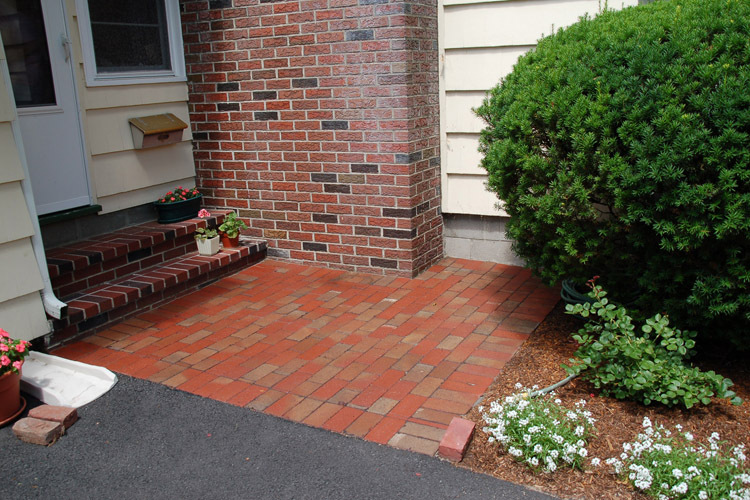 In our more than forty years in the landscaping business we have worked to give our customers something that is even better than they had imagined. We are a small, hands-on company and we invest ourselves fully in each project we build. Please get in touch with us if you want your project done right! Whether it is new front landscaping, a set of stairs, a walkway, a wall, a patio, or the landscaping around your new pool, our finished work will be beautiful and enduring. 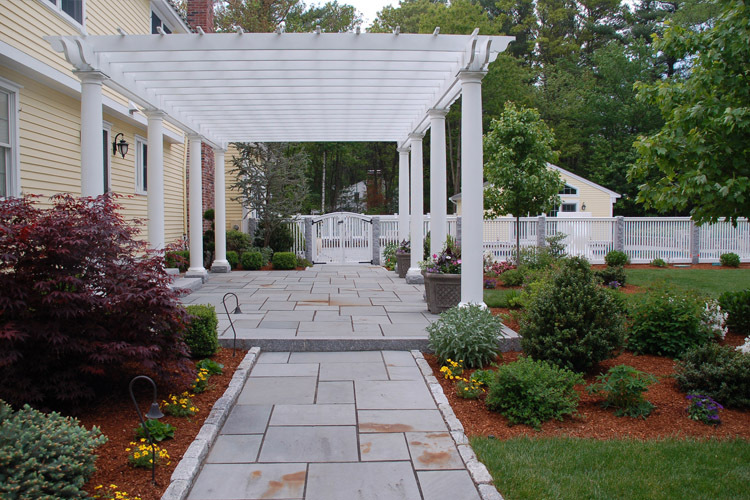 We can help you make better use of your outdoor space and add beauty and value to your home. We have tremendous experience, we are ICPI certified, and we keep our knowledge current through trade magazines and seminars. We keep our work site orderly throughout the construction process and we clean up at the end of the day. 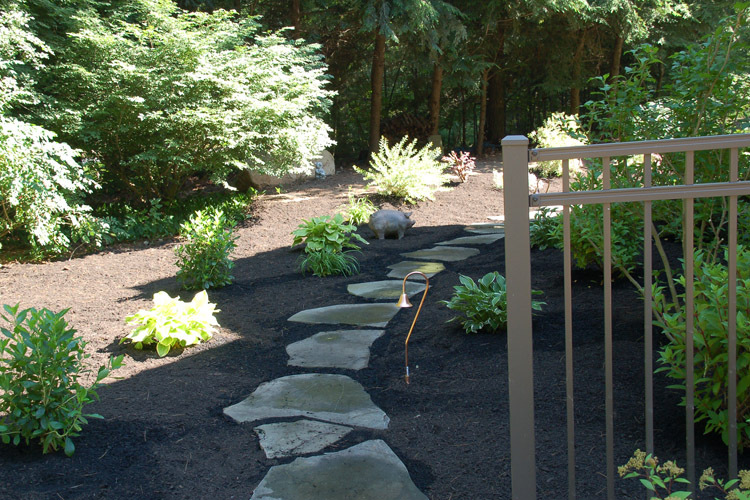 We build landscapes and hardscapes that last, look beautiful and add value to your property because we pay attention to the details. Please get in touch if we can help with your project! "Joe and his crew are fantastic. Professional from the beginning of the project all the way through the end. Timely, easy to work with and great results." --Bret M.
"Joe re-did our yards, front and back. I especially liked that he tried to keep some of my favorite plants and just move them to better places. I love how it looks two years later." Phyllis J. "First class operation with a customer first philosophy." Brett H.
"Environmental Gardens, owned by Joe and Nancy Liva, is the company you want to invest in for high quality landscapes. They have the experience and the know how to take your project from the concept stage to completion, all in a timely manner. Having been in business since 1978, Environmental Gardens has a proven track record of providing their clients with the highest quality work, adding appeal and increased value to the home. These 3 words define Environmental Gardens: pride, integrity and professionalism. I highly recommend them." Jeff B.